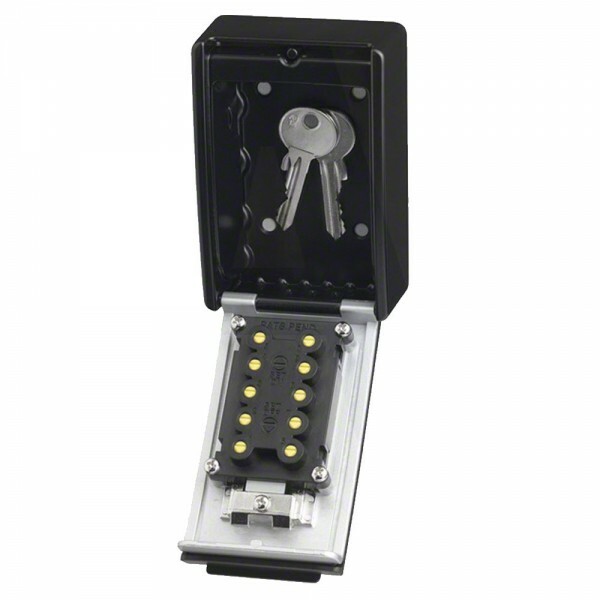 ABUS 767 combination key garage is a safe way to leave keys for people you trust which offers convenient security and a resettable 4 push button combination. It has a strong, sturdy construction for durable weather resistance and is easy to fit surface mounted with hidden screws. The drop down protective cover reveals push button key and the correct combination releases the drop down door. 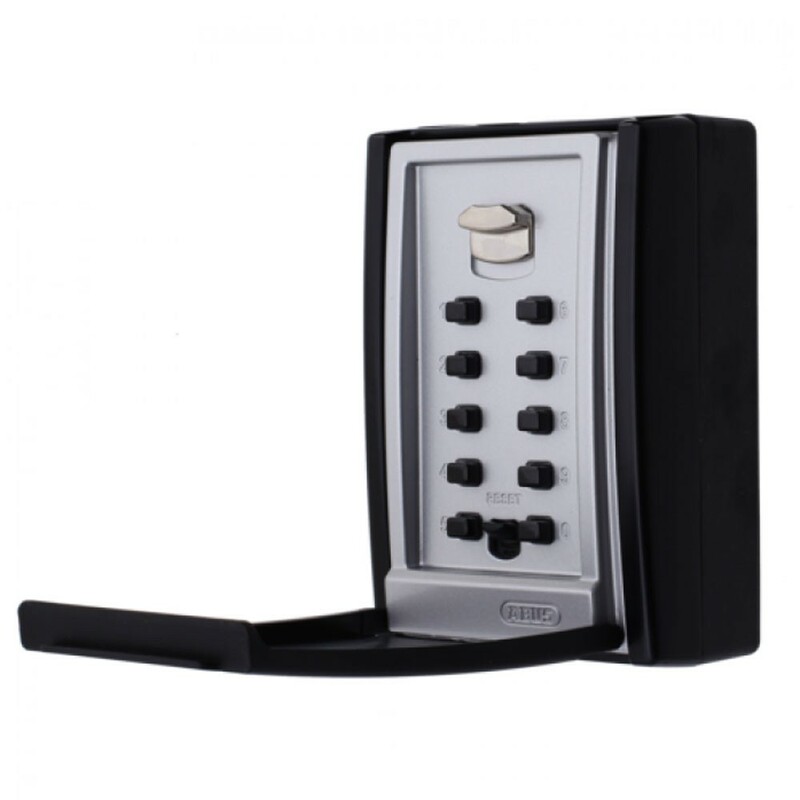 Large solid metal housing offers more capacity than conventional key safes. 10 push-button resettable combination: Set your own PIN. Push button for commercial use: Faster access than dials and pin code protected by shutting door. Can hold up to 20 keys or 17 code cards.